The folks over at VIGA DESIGN and Laurel BMW of Westmont paired up to launch a joint project based of the BMW 435i Coupe. 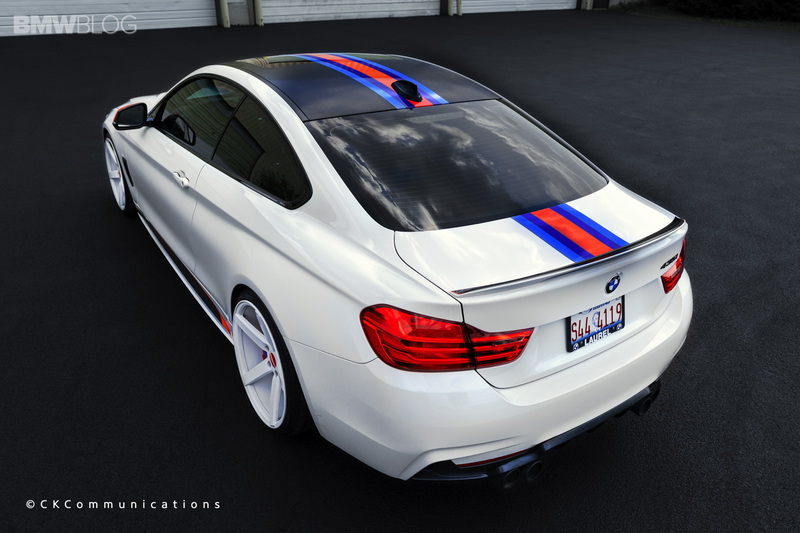 The Alpine White high-end 4 Series Coupe goes through a series of power and visual upgrades. 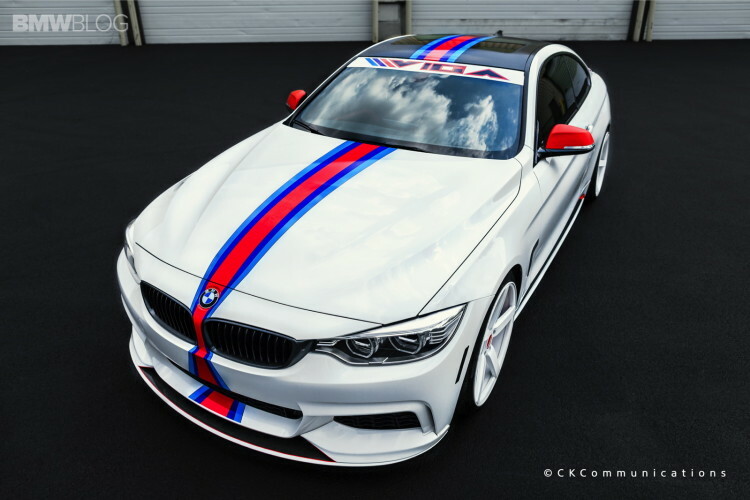 Some of those parts were ordered from the BMW M Performance Parts catalog while others were custom designed by VIGA DESIGN. The build stands out with its paint livery as well, red and blue stripes running across the trunk, roof, hood and ending on the front lip. The roof was also “dressed up”, but instead of the typical carbon fiber wrap, Viga used a brushed black 3M film which gives the car an unique look. The side mirror covers were painted in red and black, a nice touch compared to the usual carbon fiber covers we usually see. To give the car an even more racing-inspired stance, a set of H&R Springs lowered the car. In the power department, the 435i M Power Kit adds 33 horsepower and 37 kb-ft of torque. To increase the stock sound, the standard exhaust was replaced by one produced by Meistershaft which also adds quad-exhaust tips. Download some amazing photos from the gallery below, courtesy of Mags McKay, CKCommunications.